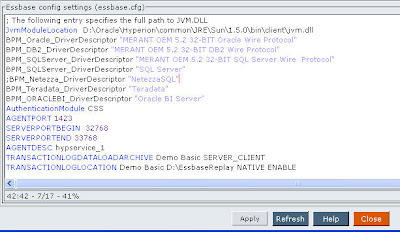 I was recently involved in a client project wherein the client was implementing BI EE on top of an Oracle Database. Since they were on a shoe-string budget, they could not afford to have a couple of servers for BI EE Development and Production. Of course, not an ideal situation, they did have a couple of instances of the database (one for development and the other for production). 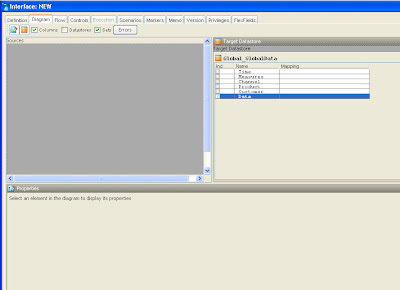 These databases were populated using Informatica from an external source. Since, the client had only one instance of BI EE, they wanted to know whether it is possible to switch between production and development databases just by means of a single prompt (for administrators alone to test the data validity across the database instances). Though a very unique request, it made sense due to the frequency of development happening on the dev databases. 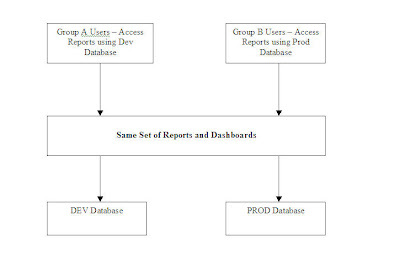 Also, they wanted a capability wherein a set of users would be looking at a set of reports reporting against the dev database and another set of users would be reporting on the same set of reports on the production database. The below diagram provides the details on what is required. Lets look at an approach today using which we shall achieve the above requirement. So, in effect our aim is to have a prompt across all the reports, which will switch between the development and production databases (for Administrators). 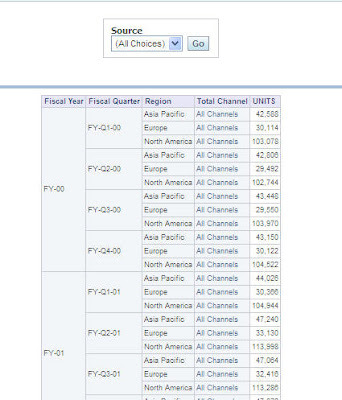 For demonstration purposes, i would be using the Global Schema. 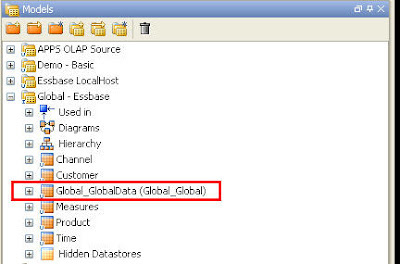 Lets consider the Global Schema as the actual development database. 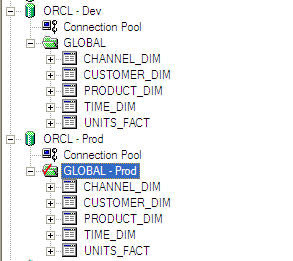 Also, lets consider another schema called global_prod which would have the production database tables. 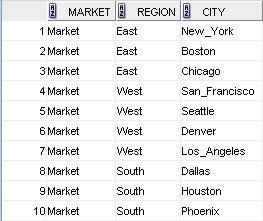 As you see, we have the same set of tables in both prod and dev databases. Typically any Administrator would like to run the reports on both dev and prod to determine any possible issues. So, lets start with designing the BMM layer for these 2 schemas. The idea is to create a single BMM layer which will fetch data from either prod or dev depending on the fragmentation set in the repository. To start with, lets create a simple select view in both Dev and Prod to return the actual values that we would choosing in the prompts for Dev and Prod. 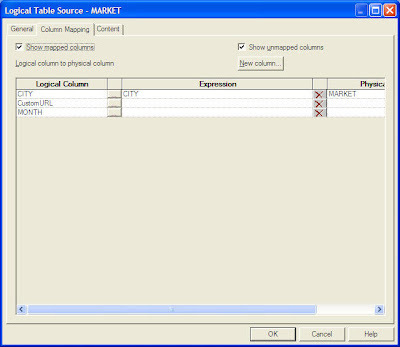 Now, in the BMM that we are building, add a custom dimension with a single column called Source using both the above custom select views as Logical Table Sources. Also, set the fragmentation in such a way that one LTS is chosen, when Dev is chosen in the prompt and the other LTS is chosen when Prod is chosen in the prompt as shown below. I have not shown the dimension build and other aspects in the RPD BMM as everything else would remain the same. Instead of one LTS for each dimension, use 2, one for prod and the other for dev. Of course, as your RPD becomes complex, adding more and more LTS would only make the RPD to grow big. That is something one would have to consider. But this approach has very good flexibility and can be implemented by anyone who wants implement a similar requirement. Now lets log into Answers and check how this works. 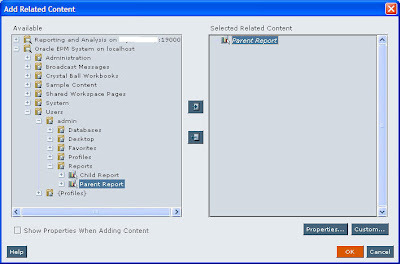 Create a very simple report as shown below and have the Dimension Source column as Is Prompted in your report. Also create a prompt to show the Source values of Prod and Dev. 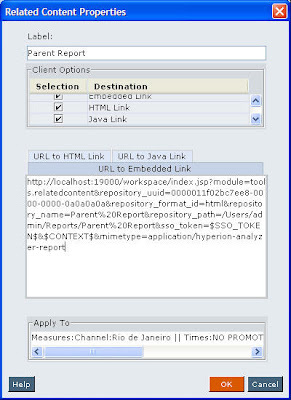 Include the report and the prompt in the dashboard. Lets choose Dev first and run the report. 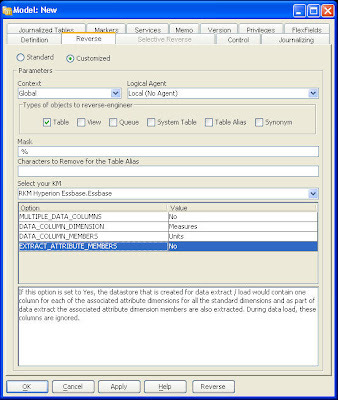 If you look at the query, you would notice that Dev database is used for generating the above report. The same would be the case for Prod as well. But one drawback is that, if we do not include this filter, we would get a union all from both the LTS as shown below. One cannot expect every user to create a prompt like the one above in each and every report. 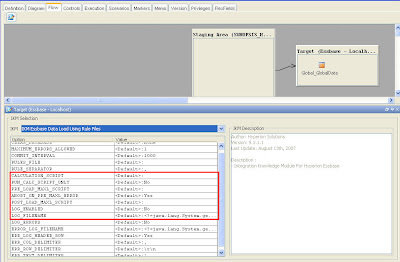 So, in order to avoid the duplicate issue and to ensure that a group of users automatically have a Dev or Prod filter assigned to them just add a custom Security Group and add the filter as shown to each and every Logical Table in the BMM. One Security Group would have a filter on Dev and the Other on Prod. So, anytime a specific user from one of the above groups creates a report, the Dev or Prod filter is automatically passed and this will ensure that the fragmentation happens properly. One of the new features that was introduced in the EPM 11.1.1.0 release is the ability to restore an Essbase database back to its original state after a database failure. Typically, restoring a database from a backup always restores the database back to the point in time when the backup was taken. But there could have been transactions/dataloads that could have happened after that backup. Since these new transactions/data loads are not part of the back up, till the previous release(9.3.1), we could restore the database only to the point of time of the backup. But now in the current release, it is possible to restore the new transactions/data loads related data as well using the Database Replay feature. Before we see how this replay feature works, lets quickly understand the basics of database backup in Essbase. 1. Put the database in read-only mode by using the begin archive command. 2. Manually backup all the files listed in the archive file generated as part of the begin archive command. 3. 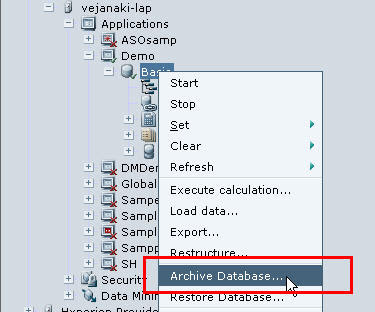 Revert the database to the normal mode by using the end archive mode. 1. All the modified data which have not been committed so far onto the disk would be committed. 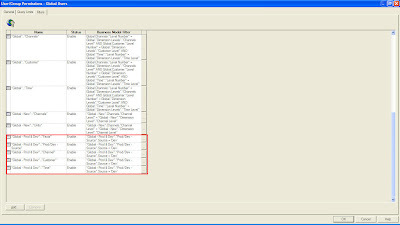 Now the above maxL would generate the archive list file shown below. 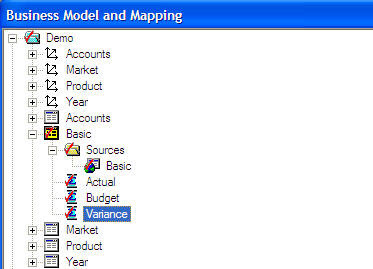 Lets take a very simple Excel add-in report as shown below. 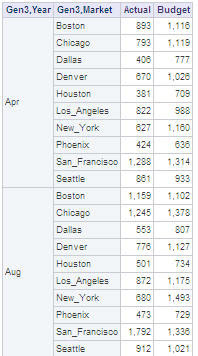 This is the data that we have before doing an archive. Now lets go ahead and archive the cube. 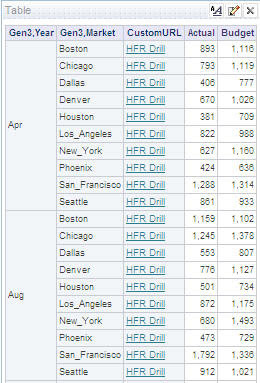 After the archive, lets go ahead and update the data in Excel as shown below. After changing it update the cube using the Lock and Send mechanism. Now, lets restore the cube back using the Restore option. Before restoring, we would have to stop/unload the database. If we go back to Excel, we would get the data that we had before the Lock and Send transaction. Now, lets go and apply the Replay Transactions to restore the transactions that happened after the backup. 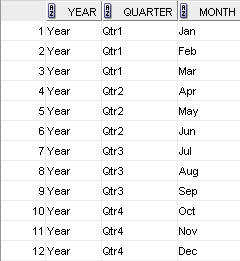 This should revert back the data that we had updated from Excel. This replay option can be used for rule files and also the data files. I was on a call yesterday with an Oracle partner who was developing a custom data loading solution(for a complex reporting system involving Essbase, Oracle OLAP and Oracle 10g) for one of his customers. One of the issues that they were facing was in using ODI to do data loads into Hyperion Essbase. 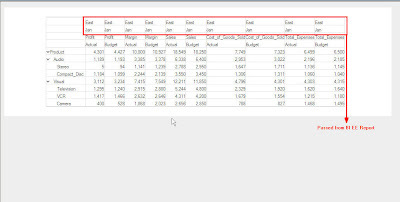 Before i proceed further, i would like to point out John’s article series here which has the details on how to go about using ODI for loading into Essbase. The issue faced by the partner was, they were not comfortable in using JAPI provided by ODI as they felt that the data loads could be much faster using traditional approaches. They were actually used to loading data through rule files using the SQL Interface. And they were of the opinion that SQL Interface was performing better than the JAPI. Though the conclusion arrived at was not correct, as there were no quantifying facts/metrics stating JAPI load was slower than the SQL Interface, this question made sense as the partner was more or less new to ODI and was not comfortable in using JAPI for data loads. 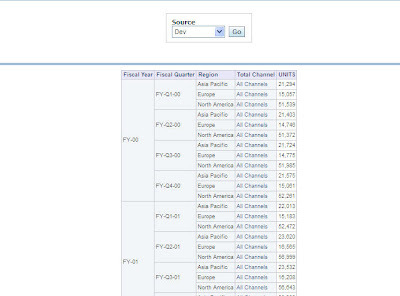 But one of the features that they liked about the ODI and Essbase integration was the ability to define Essbase connections which offered them the flexibility of doing every data load using the ODI interfaces. 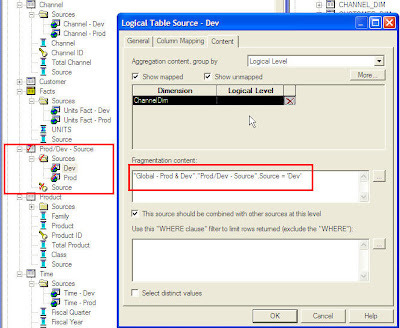 The partner basically wanted to know of a way where an ODI interface could be created with no mappings to the source and all the interface should do is to call a Rule file through the SQL Interface and load the data. 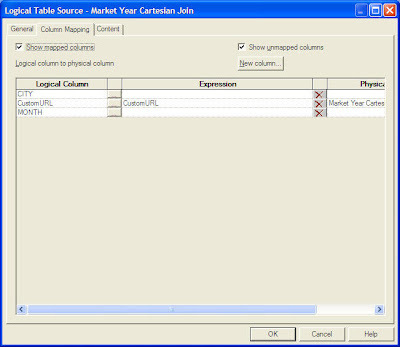 I thought i would blog about this since this is more or less a common requirement considering the fact that many Essbase customers use the SQL interface rather than the JAPI. 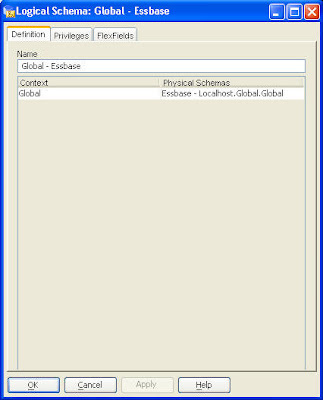 First let us start with creating a physical schema using the Hyperion Essbase Technology. The next step is to create a logical schema and establish a relationship between the physical and logical connections using a context. Now, lets jump over to the designer and create a model. 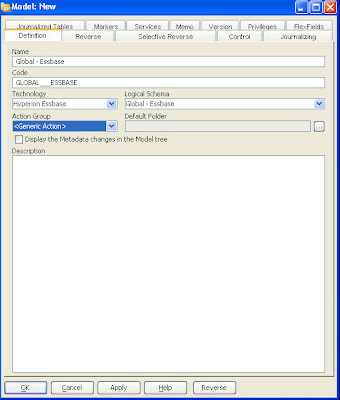 While importing the objects choose customized reverse and enter the relevant details as shown below. Now, the next step is to create a custom project (or use an existing project). This project should have all the Knowledge Modules. 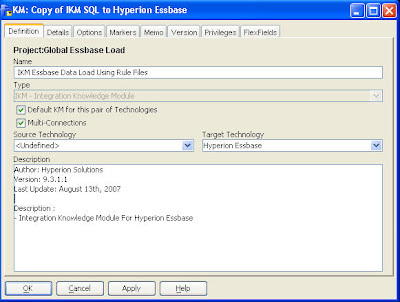 Now duplicate the “IKM SQL to Hyperion Essbase (DATA)” and give it a custom name “IKM Essbase Data Load using Rule Files”. 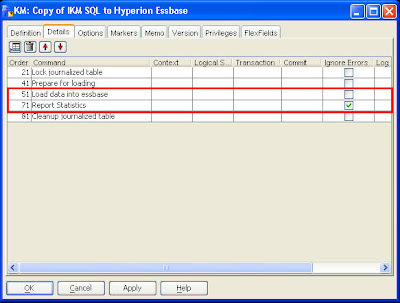 And in the custom tab, remove the steps “Load Data Into Essbase” and “Report Statistics” from the IKM. The reason for removing these 2 steps is to ensure that the IKM does not use JAPI to do the data loads. 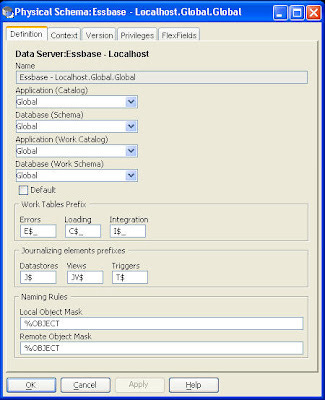 Now, lets create a new interface and include the fact table related to the Global cube as target into the Interface. Ensure that the staging area is SUNOPSIS_MEMORY_ENGINE. As you see the maxL script basically spools the log out to a specific file. And also, it calls the rules file to do a data load. When this data load happens, it would be through the sql interface. Now, come back to the Interface and in the options for the IKM enter the below details. The maxL script would be called through the PRE_LOAD_MAXL_SCRIPT option. 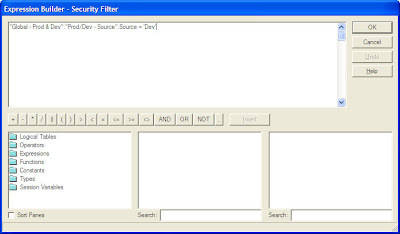 Now save and run this interface. Now, you should be able to bypass the JAPIs to do your data loads. This is not always the recommended option. But neverthless this is something that would be wanted by everyone who is new to ODI and who is used to loading rule files through the sql interface. 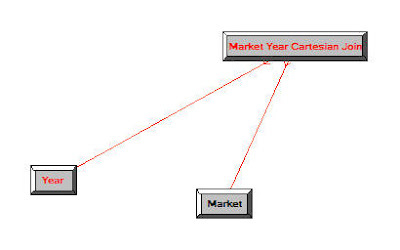 As you see, what this alias does is, it creates a cartestian join between the Year and Market tables. This would be used to produce our dynamic URL. Also, this would be used as a fact placeholder to generate the URL. Be careful while using this cartesian join approach on large dimensions. 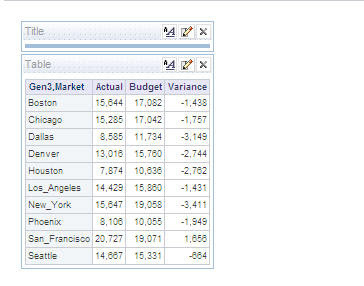 If you have very big dimensions, i would recommend using a complete fact view with only the necessary dimension values. The below screenshots shows how to setup the federation. The first step is to add another provider LTS for the Year dimension for all its columns. Similarly set the same for the Market dimension. Once that is done, include the cartesian alias that we created into the BMM. 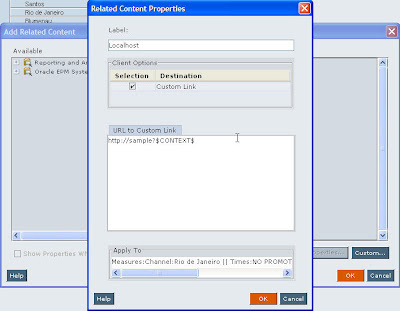 Our idea is to use the CustomURL (in the above query) column as the column that generates the dynamic URL. Since we are including this as a fact column and since we are using the conforming dimensions approach, we need to ensure that the measures of Essbase and this CustomURL are of the same grain. 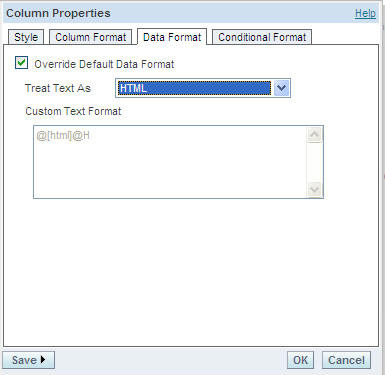 So, make sure to set First or Last as the aggregation property of the CustomURL column. Now, if you click on any one of the links, it would take you to the HFR report. Also, it would pass Year and the Market dimension values as a parameter as well. There are other possible approaches as well. But i wanted to use this approach in order to demonstrate the kind of flexibility BI EE offers from an integration standpoint. To make this even more flexibile instead of hardcoding the values, just create a function in the database and use EVALUATE to generate the URL. 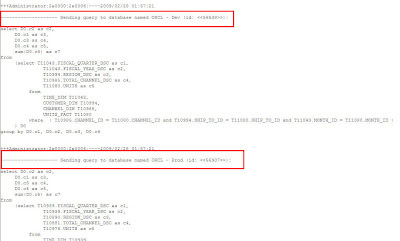 In the first case, what happens is that the MDX query is determined by the BI Server. But since we do not have the option of specifying whether the EVALUATE column is a dimension or a fact measure from the UI, we are sometimes at the mercy of the BI Server determining the MDX for us. That is where my series of blog entries here would be helpful in understanding how BI Server generates these MDX queries. But in the second case, it is straightforward to understand. 1. When used in a repository, EVALUATE should be used for generating members or one to one numeric values like Rank in Dimensions. This accepts dimension generations as its parameter. 2. 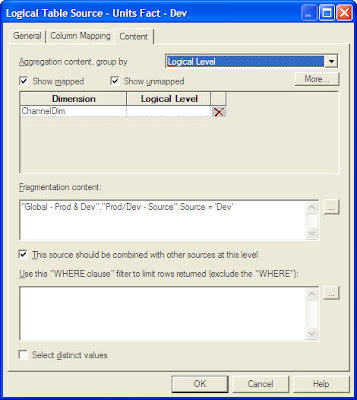 When used in a repository, EVALUATE_AGGR should be used for generating fact related custom measures. 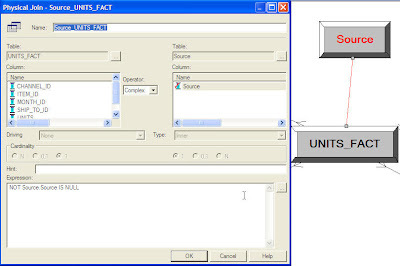 This accepts a static measure (Account dimension) members as its parameter. It can also accept dimension generations as its parameter. But the static measure member is a must. 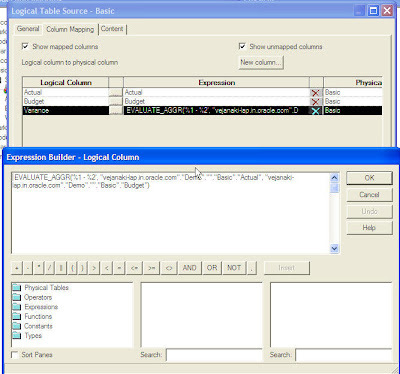 This custom measure is defined manually in the repository using the Evaluate function shown below. 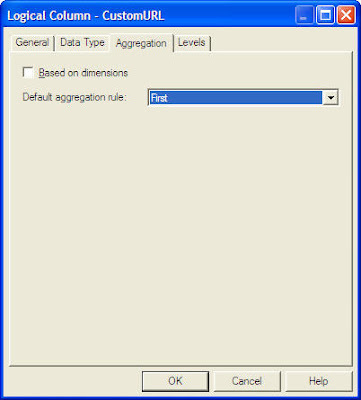 Ensure that this measure has Evaluate_Aggr as its aggregation property. Now, lets go to Answers and create a report out of this custom measure. If you look at the MDX query, you can notice that the custom measure has been correctly translated into a custom measure in the MDX itself. 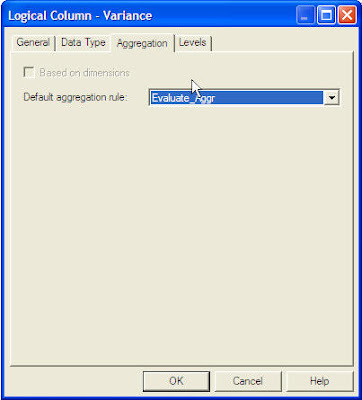 So for creating any custom measures in the repository EVALUATE_AGGR is used.